Policy on Parental access and custody issues. 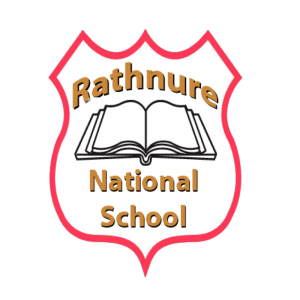 The Principal and staff of Rathnure National School encourage parents who are separated or going through the separation process to come and speak confidentially to their child’s teacher and/or the Principal. It is our aim to handle such matters with sensitivity and compassion, and ultimately, our primary concern is for the well-being and overall development of the child/children involved. When a child spends time in two homes, it is requested that the school be provided with both sets of emergency/contact numbers. Regarding the collection of the child from school, it is necessary that the school be informed of any changes in collection arrangements. It is school policy to offer the option of separate parent/teacher meetings, if so desired. It is assumed that when we wish to communicate with parents regarding their child, the parent who is contacted (ie: the parent with whom the child principally resides) will inform the other parent of meetings, arrangements etc. Specific requests for separate communication can be accommodated. School communication is frequently made via notes/letters in schoolbag or homework journal. It is assumed that the parent with whom the child principally resides will keep the other parent informed. Specific requests for separate communication can be accommodated. In the absence of a custody arrangement, both parents will be treated as equal partners in terms of parenting rights and responsibilities. The school cannot be asked to withhold a child from either parent, in the absence of a custody arrangement. Only a Court Order stating the arrangements is deemed to be valid; a letter from a solicitor is not sufficient. It is the responsibility of the parents to ensure that the Principal and the child’s teacher are kept up to date with custody arrangements. The staff of the school will endeavour at all times to deal sensitively and caringly with children experiencing separation.